Gabe Meyers walks the empty grounds of the Napa Valley Expo, imagining how it's going to go off. Some workers assemble scaffolding down the way. The occasional golf cart whizzes past. Banners out front announce a barn dance for the local 4-H chapter and the Napa-Solano Home and Garden Show. Meyers' event is a little bit bigger—and louder. BottleRock Napa Valley, in fact, is the largest, craziest event that's ever been planned for Napa. Sixty-eight bands. Sixteen comedians. Four stages. Up to 35,000 people each day. 4-H barn dance, eat your heart out. "If there's one way to protect the future," Meyers says confidently, "it's to go big. We're on the map now. Our goal was to establish this as a must-do, for artists and fans alike, early on in the festival season." With big size comes big headaches. Today, a week before BottleRock kicks off with a pre-festival concert by Macklemore and Ryan Lewis, Meyers has been pummeled with logistics. He's been in even more meetings with the city today. He's just talked again to the fire marshal. A couple days prior, Furthur, his Thursday night headliner, canceled, citing Bob Weir's collapse onstage the week before in New York. But Meyers is nothing if not determined, and one can sense he's certain he's already won. "Clearly, the response from the talent, the response from the customer—it's something people want to be a part of," he says. "This is already happening; we're not going backwards on this." In other words: Napa, open your doors to the biggest, craziest lineup the North Bay has ever seen. The night before the full BottleRock lineup was announced in January, a photo of a fax on BottleRock letterhead featuring a hoax "lineup" spread around the internet. It listed the Dave Matthews Band, Pearl Jam, Beck, Jack White, Robin Williams, the Pixies, Louis CK, New Order, Fiona Apple and other bands that were surely too good to be true. But come the next morning's official announcement, the fake fax lineup had also listed many of what turned out to be verified bands. Flaming Lips. 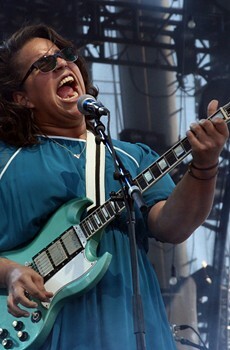 Alabama Shakes. Macklemore. Zac Brown Band. Ben Harper. Bad Religion. Jackson Browne. Andrew Bird. Wallflowers. If you're reading this, you know the others—the Black Keys, Primus, the Avett Brothers, Kings of Leon, Jane's Addiction, Dirty Projectors, Violent Femmes, the Shins, Dwight Yoakam, Iron & Wine and many, many mind-boggling more. "Too good to be true" was, well, just plain true. How'd they do it? 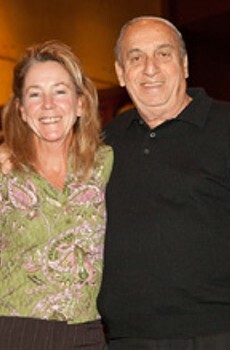 Credit must be given to talent buyer Sheila Groves-Tracey of Notable Talent, a Petaluma resident who in the past has booked New George's in San Rafael and the Mystic Theatre in Petaluma, and who now manages the Uptown Theatre. Both Vogt and Meyers credit Groves-Tracey with being "a huge help" in handling the booking. 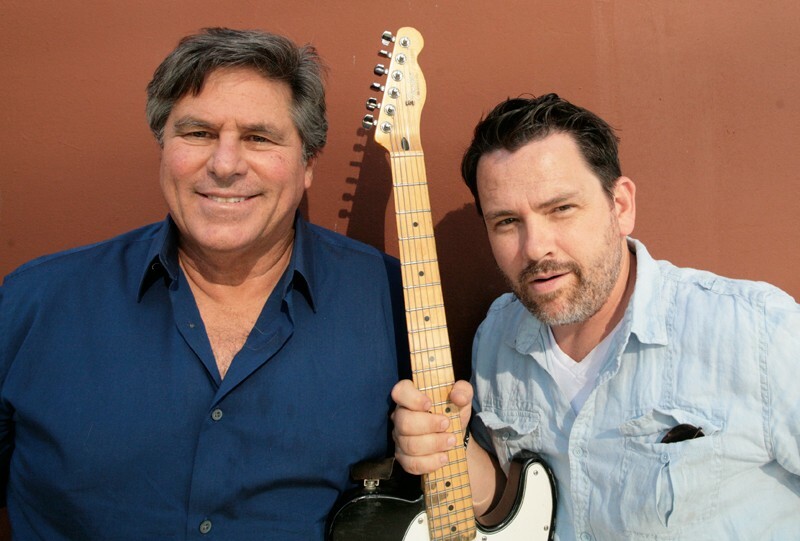 THE FOUNDERS Bob Vogt and Gabe Meyers have produced BottleRock entirely locally, without big concert-promotion giants like Live Nation or AEG. But the biggest question is about who's putting up the money, and on that point, Meyers and BottleRock cofounder Bob Vogt keep quiet. "I don't think it's appropriate to discuss that," says Vogt, in the middle of the fairgrounds' huge, empty field, soon to be filled with screaming fans. Meyers is only slightly more forthcoming: "The funding specifically for this event has come from a variety of sources: private equity, sponsorships, and ourselves." "Ourselves" means two guys who have only a little experience in the concert-promotion business—they've held numerous benefits for Giants fan Bryan Stow at Napa's Uptown Theater, in which Vogt is a partner—and none putting on a festival. 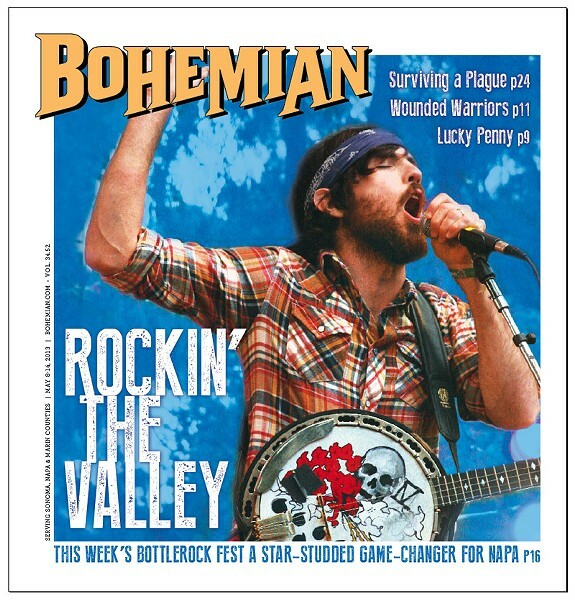 Which is what makes BottleRock such a tremendous underdog story. Most festivals of comparable stature are booked by Live Nation, AEG Live, C3 Presents or Another Planet Entertainment. That two Napa locals and a Petaluma talent buyer are presenting BottleRock, with no outside promoter, is more than impressive—it's got everyone in the industry talking.